My school was lucky enough to find the funds to purchase a 3D printer for my classroom. I’ve been hoping to get a printer for the past several years and the time has finally come. We’ve had the printer for the past few months and we have done a few dozen prints on it. In the video above I go over a brief review of the printer and the pluses and minuses of the printer. Below is brief breakdown of what I have found so far. Propriety filament and spool. Using less expensive filament voids your warranty. I am in love with the printer. 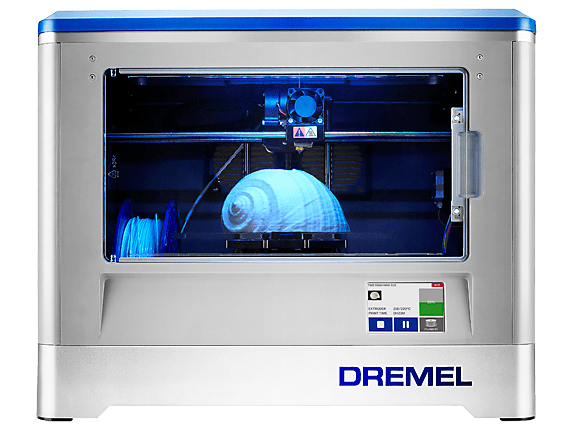 The Dremel Idea Builder is built solidly and is a breeze to use. While there are minor (in my opinion unnecessary) quirks, the printer fits in perfectly with what my students need. I wish it had a few more bells and whistles, like a heated bed, but I can’t complain about the overall printer.